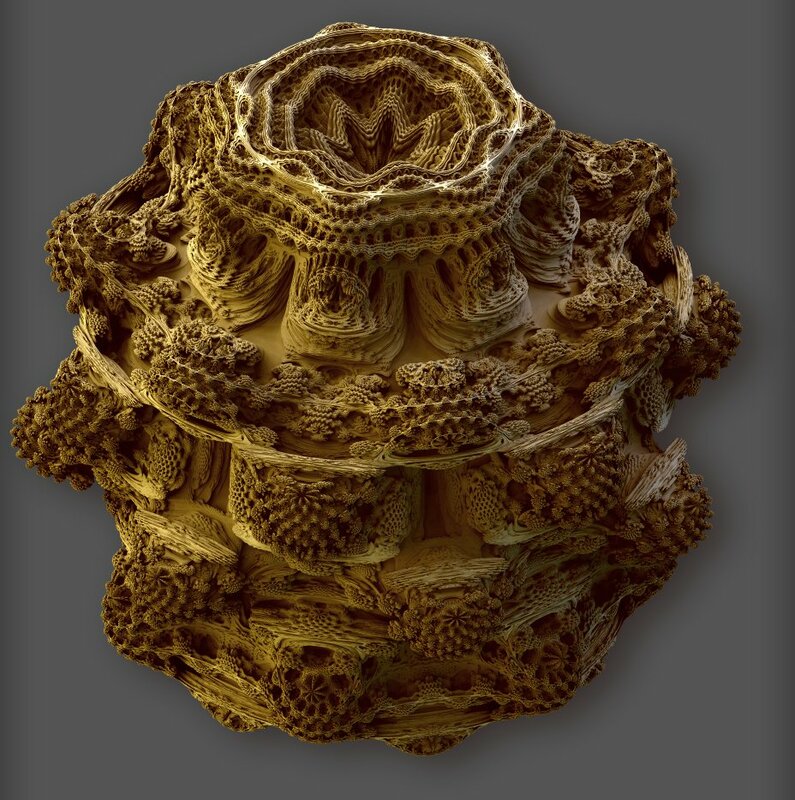 In case you’ve been living under a very large rock for the past few years, you’ve been aware of the discovery of the plotting of the famous Mandelblot fractal in three dimensions, called the Mandelbulb, developed by Daniel White and Paul Nylander. 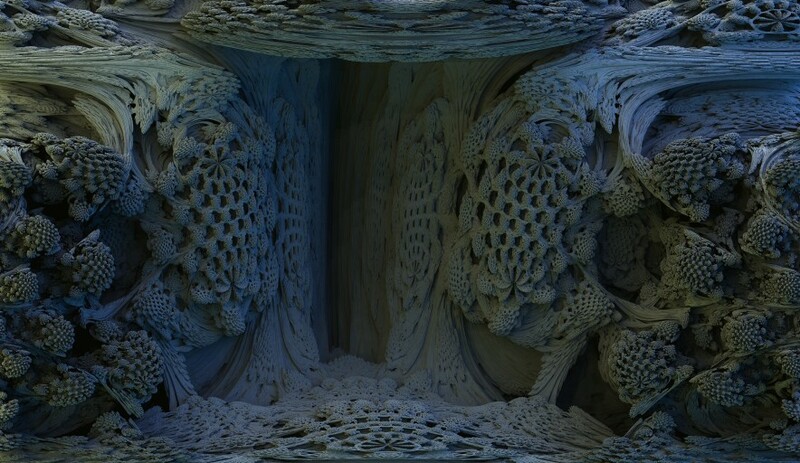 Skytopia showcases some of these stunning 3d Mandelbulb projections and discusses the algorithmic basis behind them. While this is now rather old (2009), if you haven’t seen it before, I highly recommend you check it out. 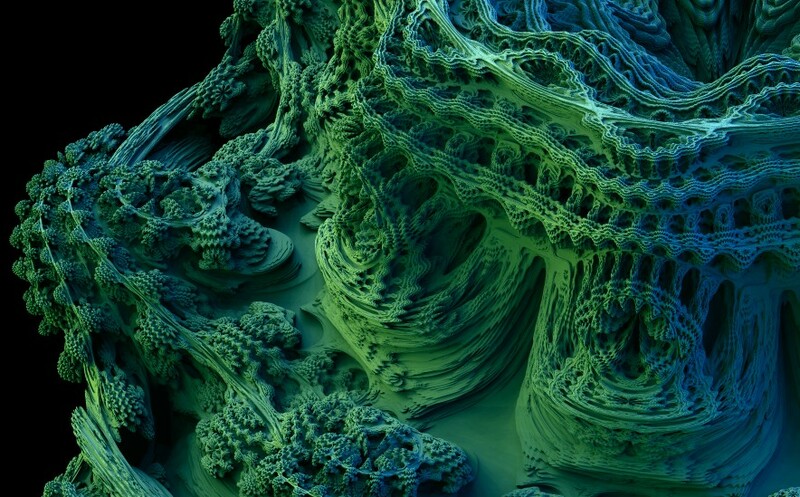 My discovery of the Mandelbulb led to my own set of very detailed Mandelbulb experiments using Tom Beddard’s fantastic Mandelbulb script for Adobe’s Pixel Bender GPU engine. I even wrote my very own *extremely primitive* Mandelbulb renderer. Do yourself a favour and go check out Skytopia right now!